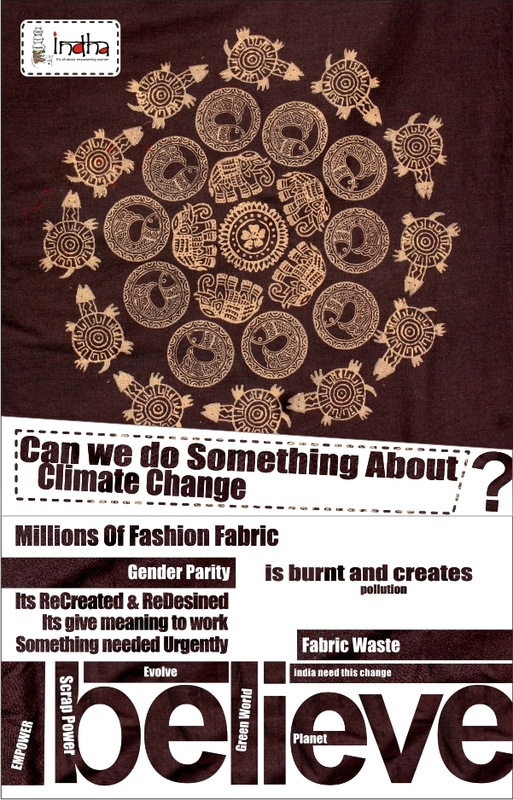 Its been sometime since I wrote about our Social Venture “INDHA” which aims at empowering underserved women and makes sure it builds sustainability in its overall growth.INDHA`s prevailing belief in people and its planet made the overall progress slow yet had been able to create a whole lot of awareness about its work on various products. Businesses don’t thrive on these, do they ? its all about how much Profit you made with the Capital in hand. The loss is never welcome in businesses. However, there had been a struggle in shaping the foremost, our women from the community, who are not only gifted and they gained with the training invested on them. Capacitating them had been the hardest due to varied literacy levels of these Adults. INDHA`s everyday work goes around to cover more ground that is to work around their conservative ideas and beliefs, to build their confidence and finally work on their Aptitude/ Attitude towards the Quality finish so that our Buyers be amazed by its beauty and talent. The overall transition had been to build the whole eco-system which tested our Perseverance and Patience at every level. Indian Villages has its own set of challenges due to its remoteness and lack of all kinds of amenities. The process continued with Handful of people getting ready, with more prepared in the wings. The End product created had to be beautiful and amazing for INDHA with quality to be remembered by – this wasn’t easy either –Many days went by thinking “what would catch People `s eye and things which would remain with them forever”. The word “utility “ word was significant for us as we all somehow use something or the other, in our daily lives; therefore INDHA focused greatly on Utility products and the same for gifting could be promoted amongst Event Managers & Corporate Buy. INDHA designs focused on always creating something handmade, handcrafted and use of Raw Material which could be recycled and Earth Friendly, therefore, furthering our cause of “People & Planet “ in harmony. We found many fashion Boutiques trashed their fabric – each small piece was beautiful and held a potential of being recreated into something Niche. Our Production started & scaled from Village Bajghera, Haryana, then to Rajasthan, Delhi and West Bengal – these Pieces were put together like a beautiful artwork in harmony to produce something we all would use it at our homes. New Artisans could hone their skill in stitching these pieces together and designs created had vivid combination, their own story of craft, and talent exhibited was something to reckon with, as we were encouraged by Buyer`s awe. A Great High when World chose our products in many exhibitions, at Retails and also for Corporate Gifting – to name a few these are – A Dustbin, A Pen stand, a Dairy, a Quilt, Bags of all kinds and several Furnishing Items. Change is happening – Many Companies have changed their Choices of gifting, they have started choosing Products which are giving work to Rural poor, Empowering the Women. The hint of Pride is noticed by many Indians while using our products. Many have expressed that they love the fragrance of Indian-ness in our products. This gives us the Courage to continue as the People`s Choice is growing.